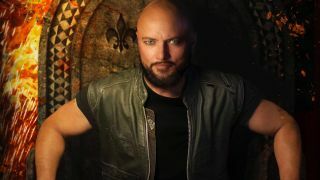 Former Queensryche and current Operation: Mindcrime frontman Geoff Tate has revealed his new project titled Sweet Oblivion. Tate has teamed up with guitarist and bassist Simone Mularoni, keyboardist Emanuele Casali and drummer Paolo Caridi in the band – and they’ll release their self-titled debut album on June 14 through Frontiers Music srl. And, to mark the announcement, Sweet Oblivion have launched a video for their first single True Colors which can be watched below. Mularoni, who also produced the record, adds: “I grew up listening to 70s and 80s rock and metal bands and, of course, Queensryche’s classic albums are among my favourites ever. “Having the opportunity and luck of working together with a musical giant like Geoff has been a real blessing on both the human and the artistic side. The cover art, tracklist and pre-order details have also been released and can also be found below.